Paris’s position among the most attractive cities in the world is due as much to its architectural treasures and atmospheres as to its prestigious past. So much has happened since a tribe of Gauls, the Parisii, first settled on the banks of the Seine so long ago! Conquered and embellished by the Romans, the town even became an imperial residence under Julian’s reign. Spared by the Huns, Paris became a leading cultural and trading town, and gained its status as a capital under the Merovingian, and later Capetian, dynasties. From Etienne Marcel to Robespierre, from Louise Michel to Rol-Tanguy, this headstrong city was known for defying leaders and oppressors. Whether you’re a Parisian or just visiting the City of Light, take a break from modern day and follow the footsteps of a history that still lives on at every street corner and beneath the stones of both major monuments and forgotten building, waiting to be re-lived. Even better: let yourself by guided by a passionate writer and actor, who upholds the timeless tradition of those troubadours who recited their works while traveling the ancient roads of France. For a few hours, Lorànt Deutsch’s words will guide you on a tour of the city that is both unusual and historical. 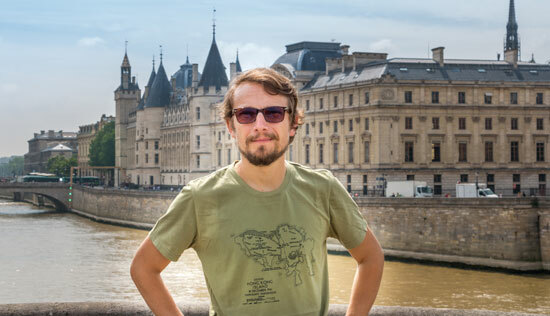 Lorànt Deutsch actively contributed to the creation of our two audio-guided tours, with the same enthusiasm as with his Métronome series of books and documentaries. 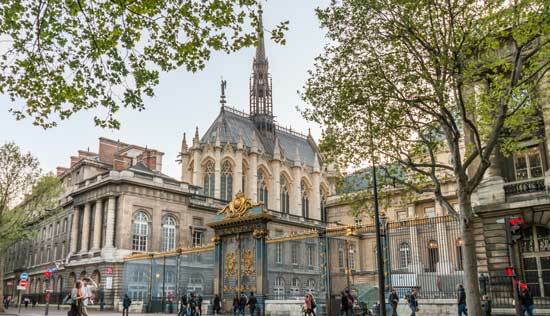 The audio-guided tour around the Palais de la Cité, in sixteen parts, invites you on a walking journey through the historical heart of Paris, the Ile de la Cité Beneath the cobblestones, two thousand years of history spring to life through Lorànt Deutsch’s narratives and take you back to times long ago. The forgotten names of Roman emperors, memories of both prestigious kings like Saint Louis and Henri IV, as well as those of common people rise up at each corner, leaving their marks on the stone of a facade and anchoring their foundations in the depths of the Seine. The audio-guided visit of Notre-Dame and the secrets of it neighborhood reveals this famed old lady, who will soon be a thousand years old, in nineteen parts. 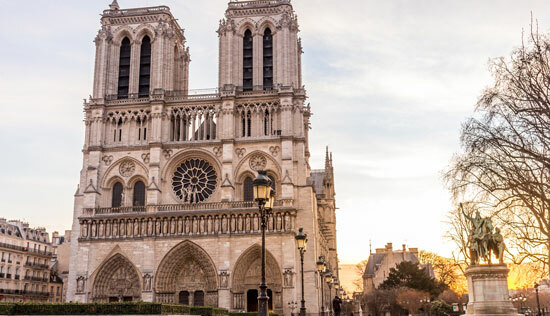 Although Parisians are generally accustomed to its familiar silhouette, the cathedral still fascinates tourists and travelers who first glimpse it from the river or from the banks of the Seine. Our audio-guided adventure, created by Lorànt Deutsch unveils this monument, which has survived centuries and has 1,001 stories to tell. Them motionless stone comes to life through the stories of those individuals who made Paris’s heart beat over the course of centuries. The Audiopen technology with optical reading, offers a new level of interactivity Just point the pen on your map to access your audio commentary selection. With this increased freedom, you can enjoy Lorànt Deutsch’s stories and anecdotes without the commotion of a group tour. 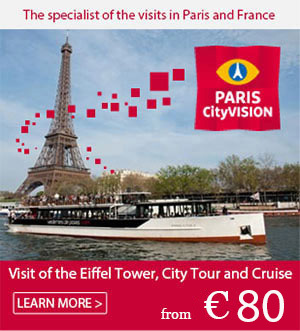 Reserve your audiopen now and let yourself be guided through the streets and centuries of Paris.